Does Anyone Really Need a Nintendo 2DS? Probably not! 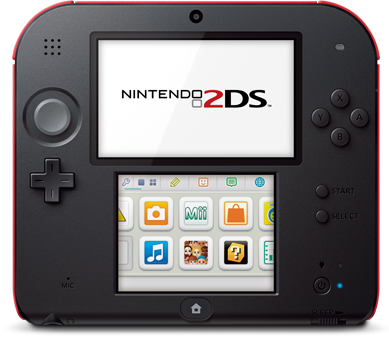 Nintendo recently announced the imminent arrival of the NINTENDO 2DS for US $130. Basically all this is, is a permanently open 3DS without the 3D. That’s right, if you are too lazy to close your 3DS lid and too stupid to operate the 3D slider, this is the handheld for you! Basically, Nintendo is responding to complaints where people can’t physically handle the 3D or younger consumers are falling under the recommended age for 3D usage. I suppose what a lot of parents don’t know is you can go into parental controls on the original 3DS and turn off the 3D at a software level, and password protected. That way the kiddies can’t use the slider. Others are saying that the hinged design of the DS is prone to breakage when their kids drop it. I can attest to this, seeing as how during my long servitude at Gamestop I saw plenty parents coming in trying to return or trade in DS units with broken hinges or completely severed screens all together. That warranty does not cover damages from drops! Anyway, I can see the merit of the 2DS. If you have a young child dying to play the new Pokemon this fall and don’t already have a 3DS, this is a very good deal, considering a regular used 3DS is about the same price ($130) at Gamestop. The only downside I see is handling the thing. It looks clunky. Also, the screens will always be exposed unless you buy a special case for it. Anyway, buy it if you don’t want to spend a lot of money on a handheld and don’t care if your games show up in 3D. I for one, will just have to live with turning the slider all the way down. This article was originally posted on my other blog, http://r2d2cupcake.blogger.com, on August 29, 2013.
and The Sims 3. Further, to spice things up, Nintendo is also re-releasing vintage. as comfortable as possible, however, this is no longer the case. Previous Previous post: Nintendo Wii U Price Cut and Wind Waker Bundle!